China's copyright watchdog launched a four-month national campaign on Monday (July 16) to crack down on online copyright infringement, mostly targeting online reposts of articles, video clips and animation games. The campaign will target copyright infringement in online media, particularly self-employed accounts on social media such as weibo and WeChat. Without permission, those accounts repost news stories, take excerpts from original articles or tamper with them. The campaign will regulate such behavior in search engines, browsers, application stores, weibo and WeChat, according to the National Copyright Administration of China. 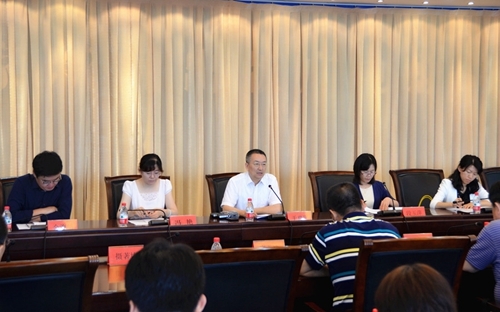 "We will inspect illegal cases involving reposting stories, shutting down illegal news websites and their online accounts, to rectify and improve infringement behaviors," said Yu Cike, director of copyright management for the National Copyright Administration of China. The campaign will also target unauthorized short videos. It will oversee popular short video apps, such as Douyin and Kuaishou, to crack down on pirated short videos, and also guide such sites in self-regulation through copyright and communication protocols to establish a positive business model. Animation games will also be targeted. The battle will crack down on behaviors spreading pirated animation works through website, apps and social media accounts. It will target those making related products without permission, such as animations related to toys and customs. The battle will target online livestreaming, knowledge sharing and podcast platforms against infringement. Yu urged internet companies to carry out internal copyright inspection management and also to improve their procedures to quickly deal with infringement reports. To carry out effective law enforcement in the campaign, a meeting was held in Beijing on Thursday with about 120 business representatives. The national annual campaign, called Sword at the Internet, began in 2005 and aims to tackle online copyright infringement in music, movies, literature, games, e-commerce, software and applications - everything involved in online copyright infringement. It has become a calling card for China to crack down on online copyright infringement. Each year, the campaign chose some specialized areas in which to focus. The campaign is successful and has made inroads in cleaning up the online environment. In the last campaign in 2017, supervisory departments performed 63,000 evaluations of websites, either online or at physical premises, and subsequently closed down 2,554 sites. Law enforcement officers confiscated more than 2.76 million printed books, CDs and DVDs. Some 543 cases involving alleged online infringement were filed for investigation by the copyright authorities. Of those, 57 were investigated in cooperation with local police.